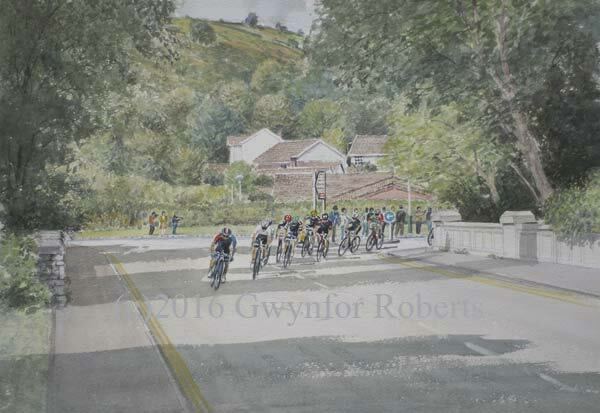 This watercolour captures The 2016 Tour of Britain Cycle Race : stage 5, Aberdare to Bath. The break-away cyclists are seen here as they pass though Ystrad Mynach and turn the corner, over the Rhymney River bridge on their way to Maesycwmmer. In this shot the leader is the Madison Genesis cyclist - detail below.